The author explains the corruption that government, religion and education has caused on society. He defines reality as what it "really is", and gives a great mind opening example on how to identify the lies reality tells us all. The book is broke into 7 segments, and he begins each segment with an inspirational quote. He covers subjects that intrigue the narcissist, and encourages the growth of the closed minded. He explains how to use energy, how to tap into your subconscious, and even how to attract favorable outcomes in life. 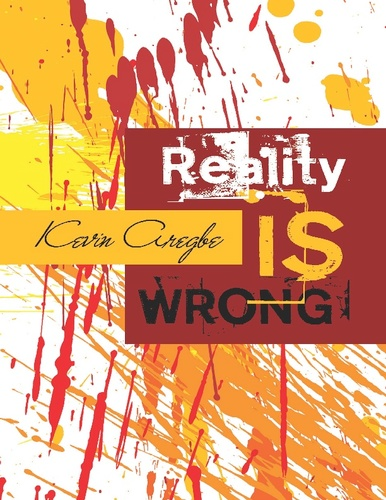 His message is very well put, and his political opinions, OBVIOUS concise Bible research, and passionate take on education and society convinces the reader- Reality [IS] Wrong. Learning about government and religions origin. I realized the impact of the castrations throughout history. I began to see the true reason for all of the problems we go through. I attempted to research religion for an answer, and I found out even religion was forced and misinterpreted.